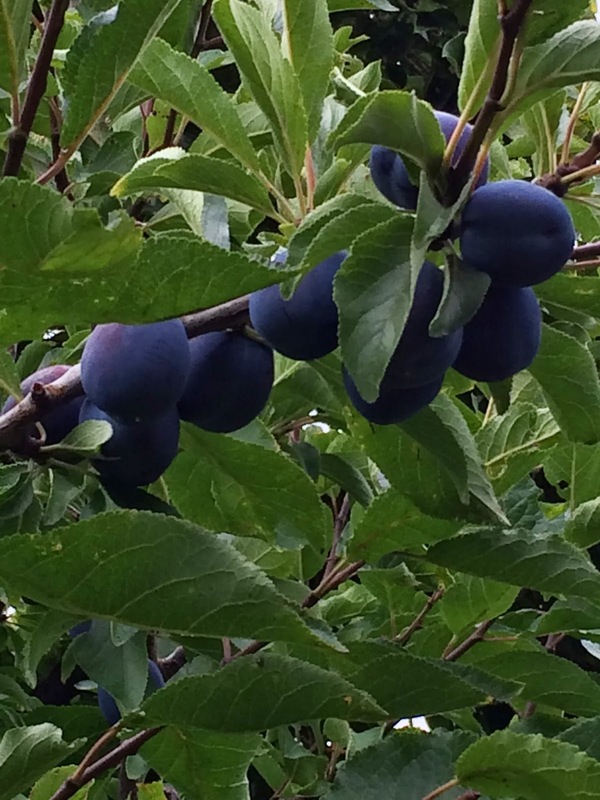 These Prune Plums are absolutely beautiful on the tree. They are growing successfully in an El Cerrito garden. They are much sweeter than the Santa Rosa Plum. 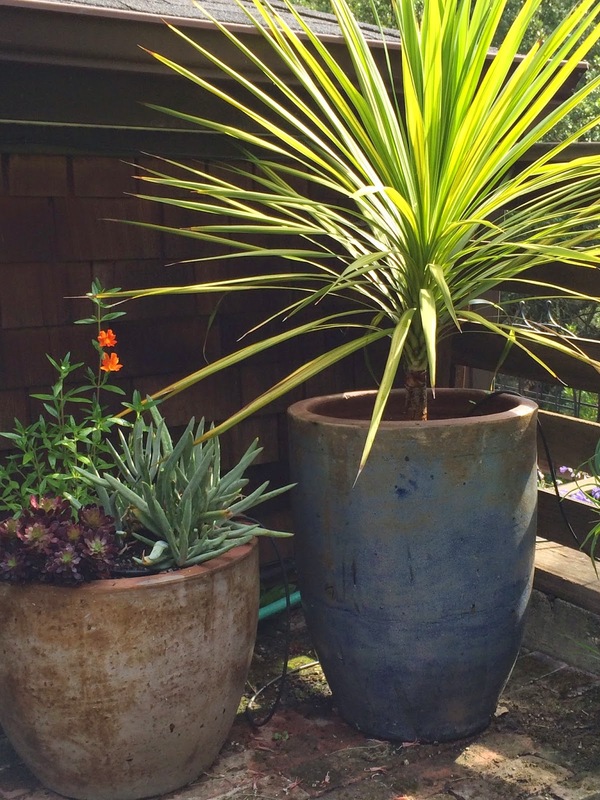 I posted a photo of these lovely pots after they were refreshed in May. Here's an update. 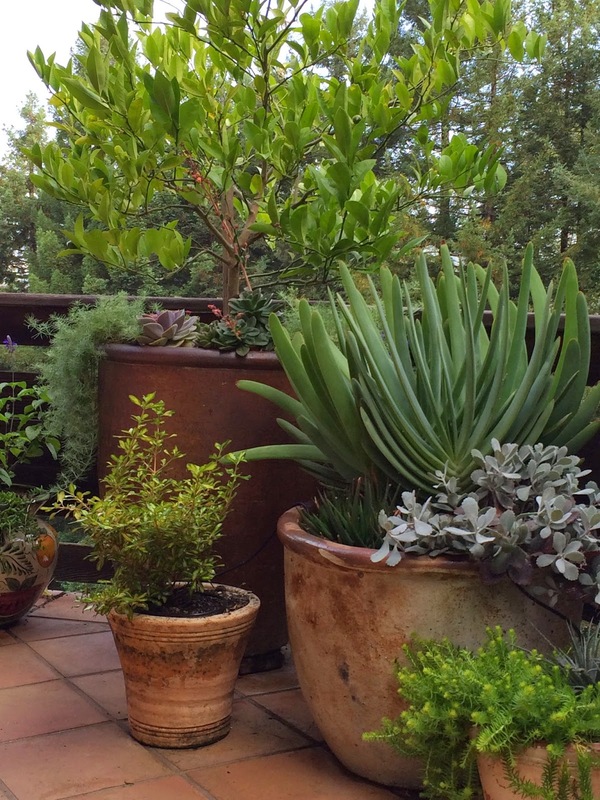 The blooms may have faded but these succulents offer variety in and of themselves. The early morning light catches this Cordyline and makes it glow.